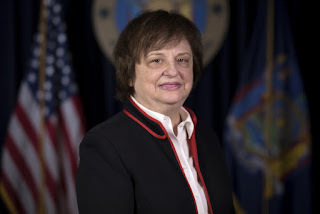 NEW YORK, N.Y. -- Attorney General Barbara D. Underwood announced today a $10.75 million settlement with offshore art purchaser Porsal Equities Ltd. for tax fraud in connection with over $50 million of artwork and other goods purchased in New York from prominent art institutions. The settlement is the latest in the Attorney General's continuing investigation into the abuse of resale certificates in the purchase and sale of artwork. "Wealthy art collectors are not above the law," said Attorney General Underwood. "Just like any other consumers buying items for personal use, art collectors must pay sales and use tax when making a purchase. They cannot skirt the rules and make law-abiding New York taxpayers foot the bill." From 2010 through 2015, Porsal Equities Ltd., a company based in the British Virgin Islands, certified it was exempt from paying sales tax on the basis that the art was purchased for resale. In reality, Porsal Equities purchased the artwork for personal use, including for display at New York City apartments belonging to the company's sole director. Porsal Equities also failed to pay use tax on artwork purchased outside New York and shipped into New York for display at the same apartments. New York law requires sellers of goods to charge sales tax on sales of goods. A purchaser may claim an exemption where it is also a seller that is purchasing retail property exclusively for resale. In such cases, the purchaser may submit a document known as a resale certificate to certify its intent to purchase for resale. If, after purchase, the purchaser ends up using the goods it initially bought exclusively for resale, then it must pay a compensating use tax at the same aggregate rate as the sales tax. Use tax may also be due where state sales tax was not collected at the time of purchase because property was delivered outside the state, but the property was subsequently used within the state. The Attorney General's investigation uncovered that Porsal Equities was repeatedly put on notice that its purchases did not qualify for the resale exemption, including by representatives from at least two of the art institutions who inquired about the nature and intent of its purchases. Nevertheless, Porsal Equities failed to make basic inquiries regarding its tax obligations and continued to improperly claim the resale exemption for its purchases. Porsal Equities also persisted in failing to pay use tax on artwork displayed in New York, despite its director's receiving a letter from a tax authority specifically explaining use tax obligations associated with the display of artwork within New York State. In the settlement agreement, Porsal Equities admitted its conduct violated the New York False Claims Act and Executive Law § 63(12) and agreed to pay $10.75 million in taxes, penalties, and damages under the New York False Claims Act. Additionally, the company agreed not to claim the resale exemption on purchases of artwork and other goods for personal use, including for display on personal property. Porsal Equities also agreed to report and file use tax returns for any artwork used in the state, including any artwork displayed on personal property, for which sales tax was not otherwise charged. Attorney General Underwood expresses her thanks to the New York State Department of Taxation and Finance for its important assistance in bringing this investigation to resolution. The Attorney General's investigation was led by Assistant Attorney General Sujata Tanikella, with the assistance of Legal Support Analyst Bianca LaVeglia. The Taxpayer Protection Bureau, overseen by Bureau Chief Thomas Teige Carroll and Deputy Chief Scott Spiegelman, enforces the New York False Claims Act, including tax claims made thereunder. It is a unit of the Division of Economic Justice, which is led by Executive Deputy Attorney General Manisha M. Sheth.